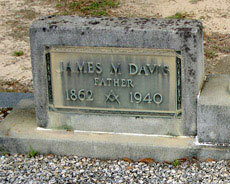 About James Monroe Davis Jr.
James Monroe Davis, Jr., was born on January 27, 1862 in Geneva County, Alabama and died on January 22, 1941 in Geneva County, Alabama. He lived to be 79 years old. 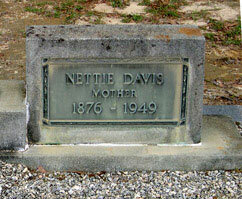 Married about 1895 to Nettie Burns, born 1876 died 1949. 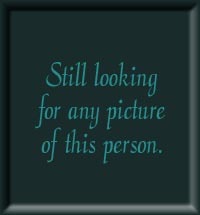 Click on "more photos" to see photo. 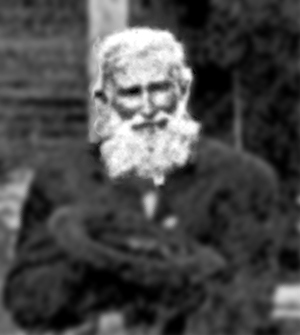 Click on any of the News, Events, or Discoveries buttons above to see historical things that happened during James Davis's life. These are only some of the major events that affected the life and times of James, his family, and friends. For example, James is 1 years old when Abraham Lincoln issues the "Emancipation Proclamation" freeing slaves. 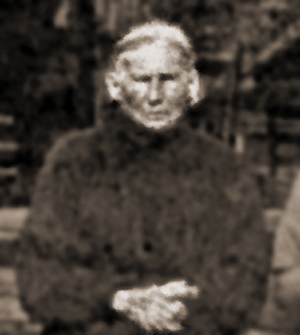 The Children of James Monroe Davis Jr.